Greg Testerman & New River Custom Builders have been building in the Blue Ridge Mountains for over 30 years. We will be glad to give you a personal tour of past homes we have built. Regardless of whether you want a large or small home, we can build it. in the North Carolina mountains? Or are you thinking about adding on or renovating your current home? Are you trying to find an honest builder who will do what he says when he says he will do it... and with no hidden surprises or costs? 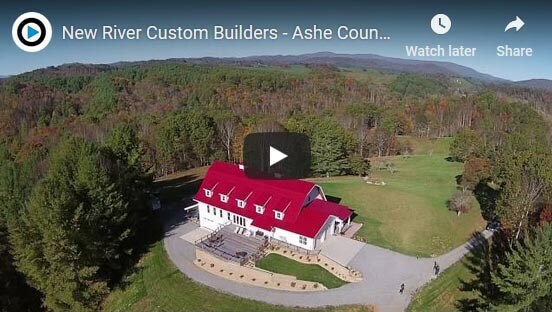 Regardless of where in the North Carolin High Country that you want to build, Greg Testerman and New River Custom Builders has the experience to do the job right. They have built some of the finest homes in Boone, Blowing Rock, Banner Elk, West Jefferson, and southwest Virginia. Greg and his team of talented craftsmen pride themselves on delivering quality and value on every job, large or small. Greg Testerman, founder and owner of New River Custom Builders, is an Old Fashioned Builder. What does that mean for YOU? It means that rather than being a project manager who automatically hires the cheapest available subcontractors (here today, gone tomorrow) to build a "supposed" custom home, Greg employs a crew of local craftsmen that have worked for him for many years. New River Custom Builders is ready for projects of all sizes. We have experience building large homes, cozy mountain cabins, and everything in between. No matter the scale of your home project, New River Custom Builders will exceed your expectations. Besides providing a home with more living space, home additions can be a terrific investment. New River Custom Builders is an experienced full service remodeling, repair and renovation contractor that you can trust. We take on larger jobs and we do smaller projects and have built a solid reputation for outstanding attention to detail in both commercial and residential renovations and additions. Take a look at our latest video featuring a home recently built by New River Custom Builders. We take a tour of a barn-inspired home, and take a look at some of its unique features. We sit down with a recent client, and talk about their experience working with New River Custom Builders. We believe in maintaining strong ties to both our local community and the building community. 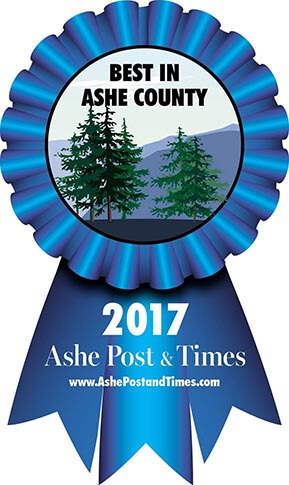 To that end, we are associated with various organizations, including the Ashe County Chamber of Commerce, the North Carolina Homebuilders Association, and the National Association of Homebuilders. Greg Testerman and New River Custom Builders are the BEST! They gave us exactly what we had always dreamed about. And....they did it on time and under budget! We have built several homes in the past, but we had never had a truly great experience until finding and hiring New River Custom Builders. We hired New River Custom Builders to build an addition to our existing house. Greg and his great crew matched it exactly to the preexisting structure. Great job! Copyright © 2019 New River Custom Builders. All rights reserved.